Dry cleaning and laundry are the two different processes designed for cleansing your clothes. While wet cleaning is a traditional water-based cleansing process, dry clean method uses no water for cleaning your clothes. Even though this process doesn’t use water, it is a much more comprehensive process. It is as effective, if not more, as the wet cleaning method. Both the cleansing processes solve your purpose but dry clean method is much better for your clothes than conventional laundering, especially if it is a delicate fabric. If you are staying in a region where the climate is very hot and always humid, then dry cleaning can be the best solution to protect your clothes from excessive moisture. 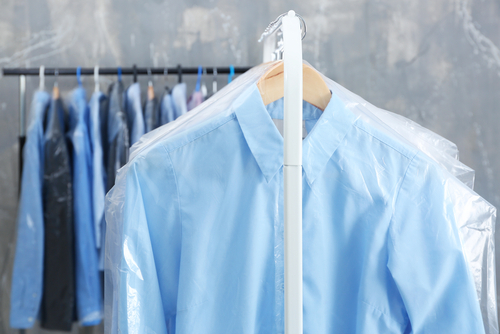 What Is The Process of Dry Cleaning? Though it may sound modern, but this cleaning process is a very ancient practice. 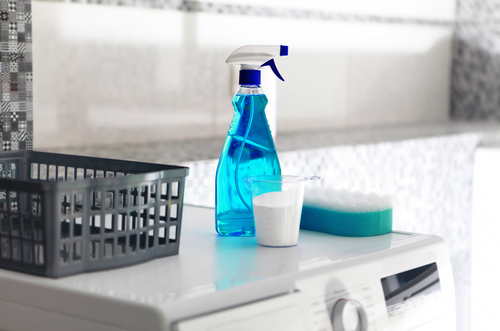 This cleaning method is a popular practice which uses some of the special cleaning agents. It also uses a very unique method for cleaning the clothes without damaging the fabric or anything. Though water is not the main agent in this process for cleansing, it uses some liquid mixture for removing the stains and soil from the clothes. There is a specific machine for this process just like the normal traditional wet cleaning. But in this case, the machine rotates very gently when it starts. While rotating, a steady stream of solvent is released into the machine to ensure proper cleansing of your clothes. After cleansing process, the dirty solvent gets drained out of the system for constant cleaning of the clothes. Following this solvent method, the next process starts by circulating the clothes rapidly to remove all the solvent. When everything is done, warm air is circulated into the machine to dry the clothes. Compared to the wet cleaning process, this dry clean method is much softer and gentler in nature. It is considered to be the best process for protecting your clothes from tears and wears. It gentle rotates the clothes in your drum which is much milder process than the abrasive washing machine process. It also uses limited amount of solvent and water which is very gentle on your garments while cleaning. So, this process is perfect for any clothes that has minute and delicate embellishments or thread works which need extra carefulness while cleaning. Along with soft and gentle cleansing process, this method of cleaning is also best for preserving and maintaining the new appearance of your clothes. This washing process does not cause shrinking of the delicate fabrics. Also, unlike conventional washing, this method doesn’t clean the clothes abrasively. Hence the fabric doesn’t go through tears and wears. Thus, it preserves the original texture and color of the fabric which is a huge advantage. Though abrasive methods are not used along with lots of water, dry cleaning can effectively deep cleanse your clothes. This process has the ability to remove tough stains and dirt on your clothes. This cleaning process has a very unique method of dissolving the grease and oil in your garments which is pretty hard to do with conventional wet washing. This cleaning process can restore your clothes removing all the dirt and stains. The dry clean process uses a solution which can effectively kill the dust mites and other harmful allergens on your clothes. Thus, it can improve the conditions of the people who are the victims of asthma and allergy. Thus, clothes and other articles are protected from the dust mites and germs causing allergies and asthma. It is not possible for the conventional cleaning methods like laundry cleaning. Gowns and capes are not easy to clean in your house using the conventional method. Of course, it can only damage the soft and delicate fabric, but you will not be able to handle the large items while cleaning. So, the best solution for that is dry cleaning. Expertise can handle such delicate large items with extreme care. In the fast-paced world, it is hard for the people to do their laundry every day. Especially, when it comes to cleaning precious and delicate clothes, you cannot afford to be careless and do things in haste. Wet cleaning can totally damage the texture, color and designs of the clothes. Thus, it is best to opt for a professional dry cleaner where you can just drop your clothes and makes sure they are cleaned properly. Choosing a professional service is important as expertise and experience play a vital role in this process. All the clothes need to be handled very gently and carefully to ensure that everything is in right condition. Thus, make sure to do proper research before you finally a hire a dry cleaner for your clothes. Of course, a great professional service can save a lot of time for you and also helps you to keep your clothes clean and perfect. The process of dry cleaning can help you to protect your clothes from the tears and wears, naturally seen in the conventional wet cleaning. It is now quite clear to you how and why this process is the best option for your clothes. It keeps the fabric and design of your clothes intact by removing all the dusts, dirt and stains effectively from your clothes. Being in a humid climatic region, drying after wet cleaning can be a difficult task. But dry cleaning is a process where the clothes are dried by a simple yet effective mechanism ensuring the fabric and texture remain intact. Thus, if you want to keep your clothes protected from tears and wears, then choose the best professional dry cleaner to get the job done. Even if you have the luxury of an automatic washing machine, doing the laundry is still a terrible chore. Not only is it never ending, especially if you have young kids who seem to take pleasure from dirtying as many clothes as they possibly can - stains are particularly fun, it looks - but there are so many do's and don'ts involved that it ends up being practically as daunting as scrubbing away in the bathtub. Then, of course, there's the dread of possibly getting it wrong which means you'll either be harming your clothes and making them look older sooner, damaging them so severely that you'll have to throw them away or have to wash them ALL... OVER... AGAIN. 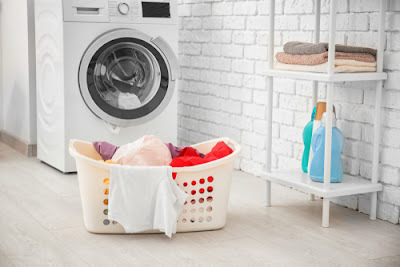 However, there are ways of taking the pressure off and making sure that what you throw in comes out in one piece and adequately clean the first time, so read on to learn three laundry cleaning tips and tricks that will turn laundry day into a good day. Well, almost. Prepare the clothes to be washed. One of the smallest, almost trivial things that make doing the washing longer than it must be is lack of preparation. Many of us lack preparation in almost anything we do-from doing research to making dinner to doing it laundry. A small amount of preparation time can pay off in the long run. Individual the clothes to be hand washed from those to be machine cleaned. Then, if necessary, independent colored clothes from the white ones. This ought not to take too much effort and it helps a great package by the time you're doing the laundry as you won't conclude missing any clothes, and you won't have to spend time bleaching your whites later because a red sock colored them pink. You can easily keep colored fabrics looking brighter for longer by just remembering to turn garments inside out - especially very dark garments and jeans. (Tablecloths tend to make this tricky so only where possible, of course.) You also need to make sure always to select the coldest and shortest wash cycle necessary to do the job. Another neat trick is to add a small teaspoon of salt to every bundle by just sprinkling it onto the clothing in the barrel before turning the washing machine on. To make sure your clothes and other laundry items get damaged as little as possible it is essential to prepare your laundry the right way. It might seem like a hassle but just merely zipping up zippers, removing buckles and closing Velcro strips, snaps and hooks could prevent tears and abrasions. It is, however, better not to close buttons since the forces exerted on the garments while spinning in the machine can tear or stretch the buttonholes. Having to rewash items is not only frustrating but also a massive waste of water, electricity, washing powder and time. 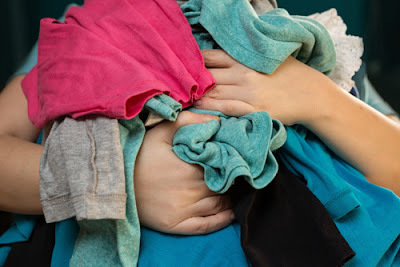 Therefore, to make sure that they come out of the wash completely clean the first time, it is worth the effort of emptying pockets and turning them inside out, rolling down cuffs and unfurling socks before placing the items in the barrel of the washing machine. Also, make sure to check for stains because it is infinitely easier to treat them before they've had a chance to set in the wash.
Quality laundry cleaning products help to efficiently get rid of soil and stain. These products come in different forms including detergent powders, fabric softeners, detergent cakes, sprays, sticks and gels-for different fabric cleaning applications. Detergents play a significant role in washing away mild stains from your clothes. Most of them are made of optical brighteners, anionic and non-anionic surfactants, a quick dissolving formula for use in all water temperatures and much more for useful cleaning results. A large number of detergent powders have soap content in their mixture of ingredients. 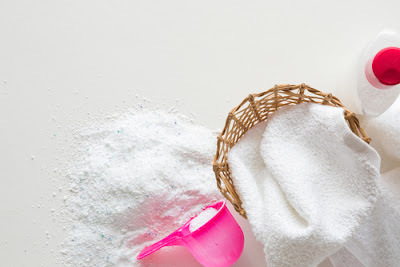 One of the prime benefits of using detergents is that they are easy to use and can effectively remove grease, oil, dust and dirt from the fabrics. Some are made incredibly safe for human hands and are highly effective for delicate fabrics. At times, it is tough to remove specific tough stains from the clothes, even with detergents. Different types of stain removers are now widely available in the market; most of these are specially made to remove the toughest stains from the fabrics. Toxic chemicals are used in these highly concentrated solutions that pierce through the grease and remove it conveniently. They are capable of removing the smallest to the toughest surface stains from your clothes. 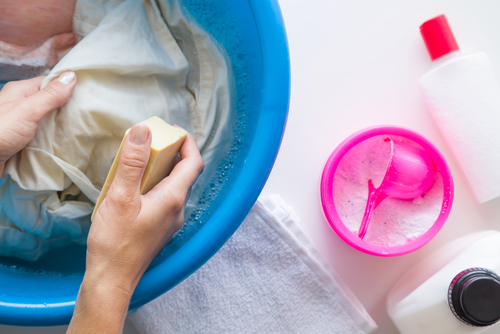 Sometimes strong laundry cleaning products like detergents or stain removers may make your clothes rough and worn out. To avoid this, you can choose fabric softeners that provide superior color retention, softness and stain protection for your clothes. Utilize the right amount of detergent. Use the right amount of detergent. Not enough detergent is a waste material of water, too much a waste of cleaning agent and clothes if you're unfortunate. Mixing too much soap into the water will damage the fabric and your shirt or shirt will never be the same again. Typically the tag on the material should give you an idea of how much soap you can use. If that doesn't work, you can also label the detergent's product instruction, usually on the packaging. Patience is well rewarded, my friend. 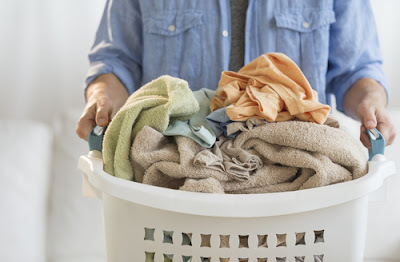 With these few laundry tips, it is possible to remove most of the trauma that comes with laundry day. So chin up, hold forth and show those dirty, dirty clothes who's boss. The quality of clothes and other textiles that you have within your home or office space give you the status and reputation that you need. This means that if they are of good quality, your general image to the world improves. The quality of these materials depends on the method of laundry cleaning that you use. 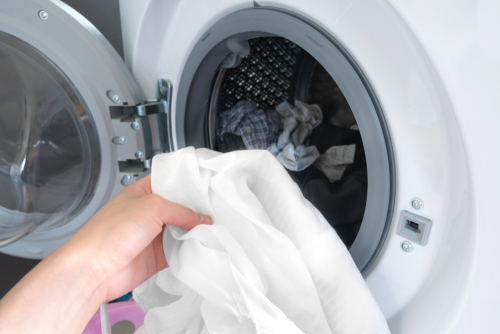 Laundry cleaning may not be easy depending of how dirty the materials may be. This is made even worse if you do not have the required skills to do this work. You may end up destroying the fabrics of your linen, end up with stained clothes even after spending a lot of time and energy and where you are using a washing machine to do your laundry, you may causing accidents. It is with such concerns in mind that you need to have some laundry cleaning tips that will ensure you are able to do this work effectively. Understand the type of fabric you are dealing with. Do not just do your laundry cleaning before you analyse the material used to make the clothes and other linens that you want to clean. Different materials are supposed to be handled differently. Understanding them will ensure you are able to choose the right detergent to use for your laundry cleaning. It will also assist you in knowing whether you can dry clean the materials or use the conventional cleaning methods. For instance, clothes made of lacy materials may be weak and should be hand-washed. Since you do not want to compromise the quality of your clothes, you should take you time and understand your clothes so that you are able to do your laundry cleaning effectively. There are many companies that manufacture detergents used for laundry cleaning. However, not all of them can guarantee you clean clothes. While some may be too weak to remove the stains in your textiles, others may be too strong and may end up destroying the material used to make your clothes. Where you are not sure which detergent is right, it is important to consult a trusted manufacturer. This means that you should avoid using detergents from manufacturers who have not been proven to provide quality detergents which are friendly to the environment. This means that you should only purchase detergents that have been approved by the relevant authorities in Singapore. 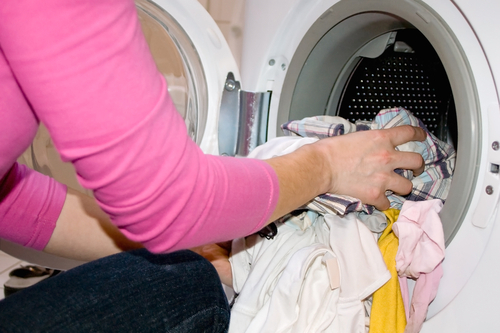 In extreme cases, test the detergent first to ascertain that it does not have negative effects on your laundry. Read the instructions written on labels of these detergents so as to know how to use them in order to obtain the best results. A professional should inspect your washing machine. The washing machine you are using must be in the right condition to ensure that you do your laundry cleaning effectively. A dirty washing machine, for example, will leave your clothes with stains or with an unpleasant odor. Your machine should only be inspected by a professional that is certified. This inspection will also ensure you are able to avoid accidents that may arise as a result of overheating of your machine. It is important to separate your laundry into different portions depending on their color, the amount of dirt and material used to make them. This is to ensure you give the clothes different treatment depending on their special requirements. For example, if you wash white clothes together with black clothes, your white clothes may end up having black stains. This is not impressive. Clothes worn by children, for instance, are usually dirtier than those worn by adults and should, therefore, be cleaned separately from the others. At the same time, do not be in a hurry such that you end up overloading your washing machine so as to finish cleaning fast. This prevents the clothes from turning properly in the machine leaving them with stains. Effective laundry cleaning requires that you rinse your clothes with clean water. This is to wash off dirt from these materials. When you finally put on your clothes, they should be clean to an extent that they boost your self-confidence. This can only happen when your clothes do not have any stains or traces of dirt. Proper rinsing also removes any odor that may be in your laundry. It is improper to store your clothes when they still have traces of water. They may have an unpleasant odor after a while. To prevent this, it is important that hang the clothes to dry to a level where they can now be stored in the closet without worries. Give direction on effective use of the machine. There may be cases where your washing machine is handled by different people. Give them direction on how to use this machine to ensure that you get impressive laundry cleaning results. This include the need to unbutton the clothes before being put inside the machine to ensure they are not destroyed, how to handle the zips so that they do not interfere with other clothes and the various settings of the machine. Improper handling of this machine may result in your clothes having stains even after spending time cleaning them. In some cases, there may be accidents. However, it is advisable that you handle your laundry yourself since you are able to understand them better. Hire a professional where you do not have skills. There may be those cases where you are not sure how to handle the fabrics that make up your laundry. In such circumstances, it is advisable to have a professional who has knowledge, skills and experience on how to handle different materials to do the work on your behalf. You can also do this if you are busy and cleaning your laundry in a hurry may only destroy their quality.